Click on the Play Button and 'Diesel Valkyrie' will start after this message... Thanks for waiting! 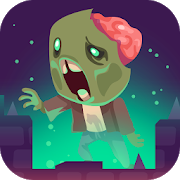 Defend your castle against the zombies. Move left and right and lay bombs in the right places. The apocalypse is here and zombies are taking over the world, but there's a nearby place where you can stay safe. Travel with your lover on a motorbike and shoot at all those bloodthirsty walkers.